After the successful launch of the Tank Francaise in 1995, an occasion that was hard to beat, La Maison presented quietly a completely new Tank model in 2002; the Tank Divan. 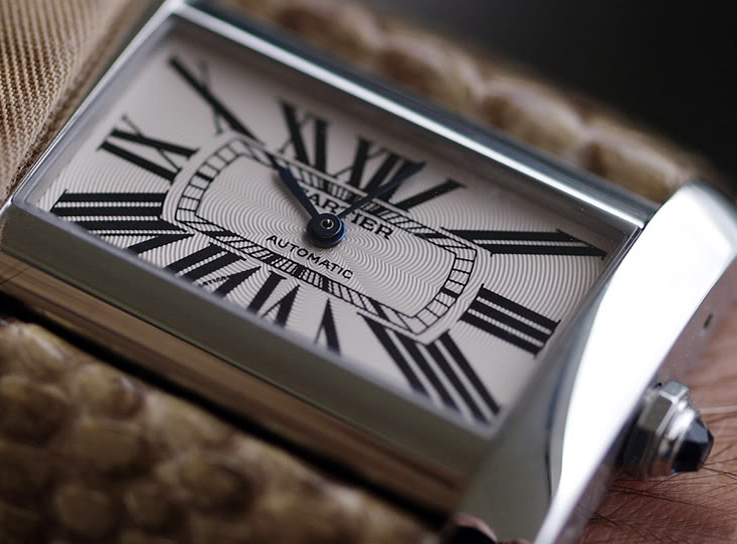 It was a watch that was designed from scratch and not a modernised version of a vintage model. 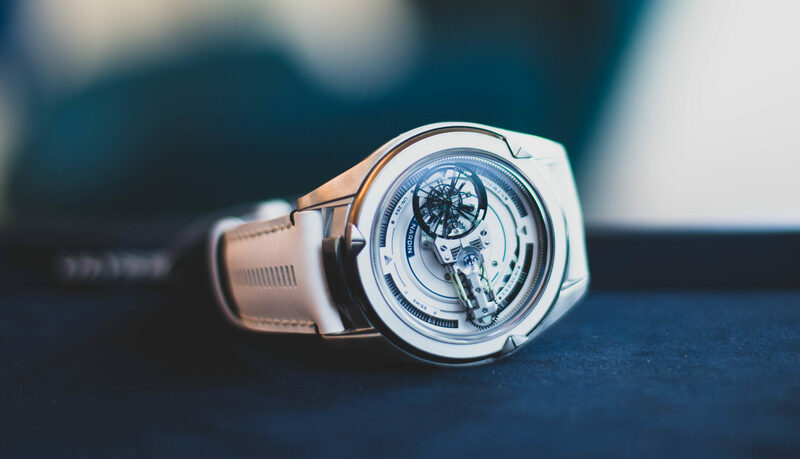 Instead of a vertical shape, the case of this Tank was now horizontal and even the largest model fitted very well, especially on smaller wrists. 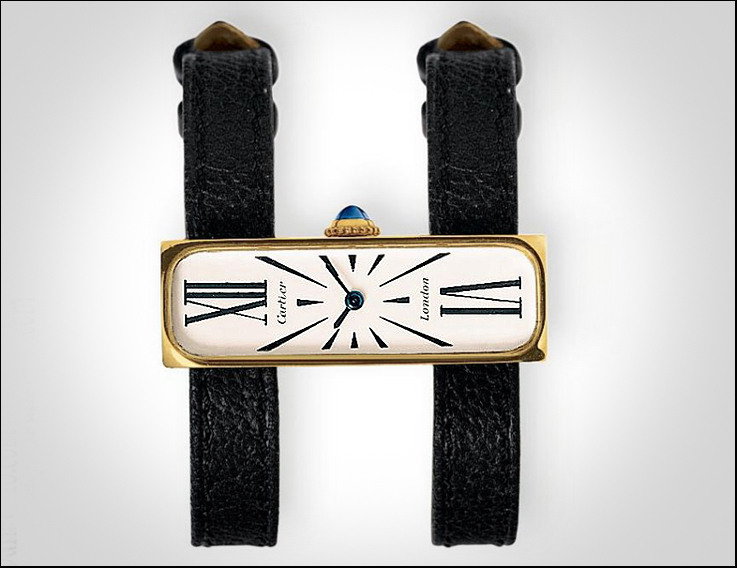 It is a radical design that could have been inspired by the above pictured ladies watch from 1912 or by the amazing double strap watch, that was designed by Cartier London around 1970! The Divan came in small sized, quartz powered ladies models and in a larger cased version, with automatic caliber. 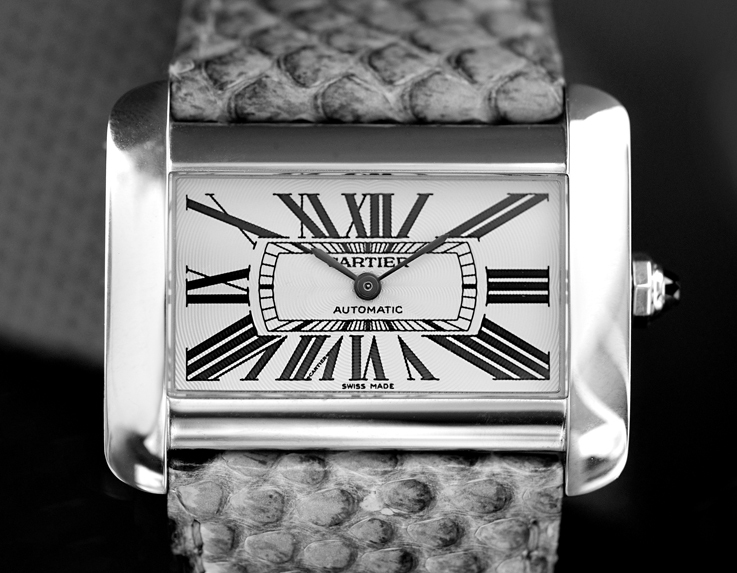 This was the the most interesting size, 38mm x 30mm worked very well on women and men’s wrists. 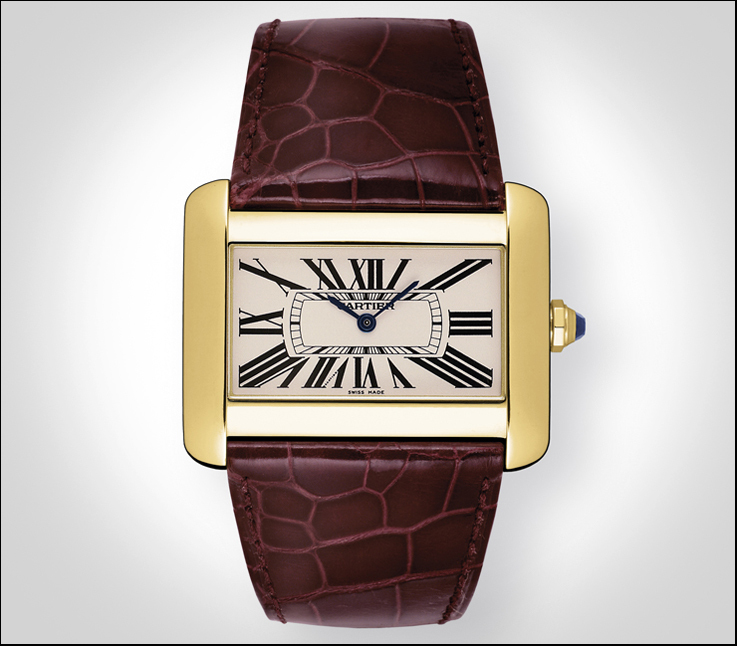 All models were launched in steel, yellow gold and white- or yellow gold with diamonds. 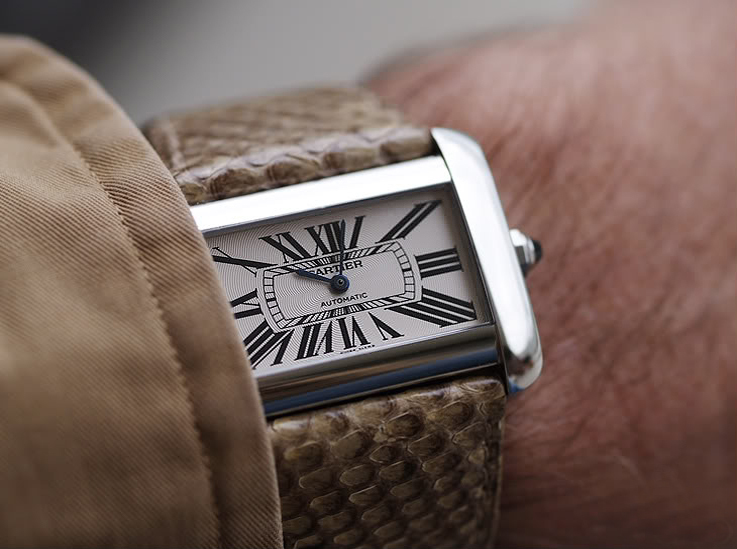 For a short period a Python leather strap was available for the large model, but these models with exotic leather straps hardly hit the shelves and were sold out ride away. 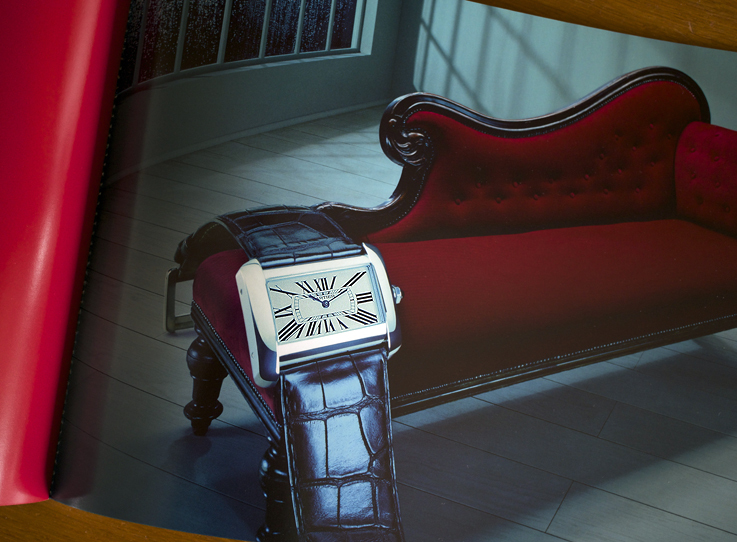 To promote the Tank Divan, Cartier had made a very creative brochure for the watch; ‘Le Divan des Heures’. It was a large horizontal picture book with stunning photographs by Shu Akashi, Miles Aldridge, pictured underneath and Gueorgui Pinkhassov. 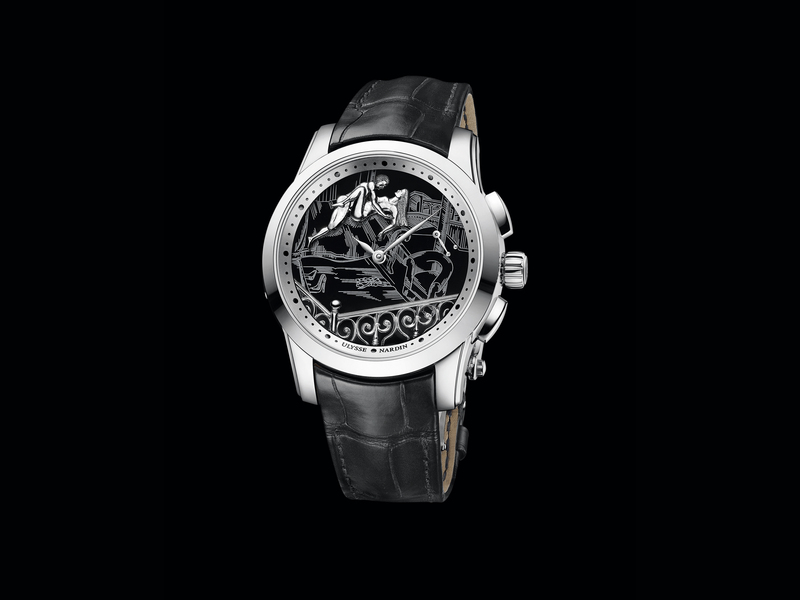 But despite the effort, the watch never created that vibe, we’re used to from previous launches. It certainly was in the picture for some time and it did find its way to consumers, but to me it was a very interesting creation, but too hard to tell to whom it was targeted to. It was neither fish nor fowl. The Tank Divan did not live a long life and was retired in 2006/2007. 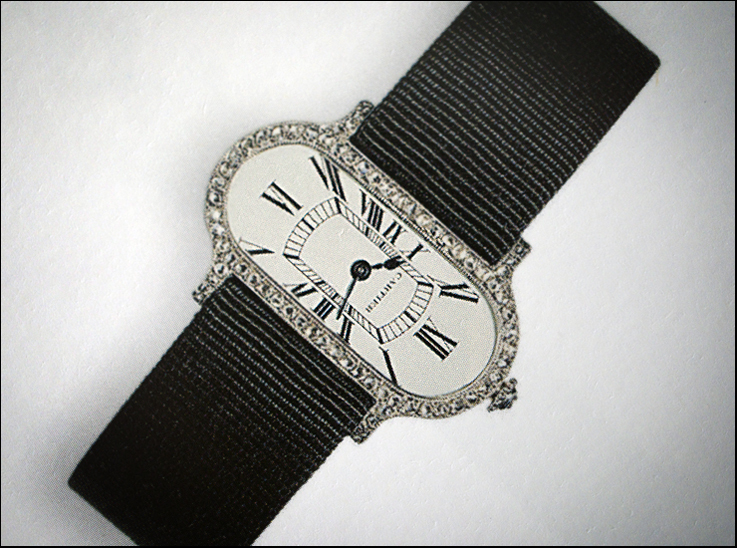 The trend for larger watches was already coming up and the success of the Divan suffered, because of the change in demand. Not every one can be a winner and despite the fact that the Tank Divan did not win the war, it certainly worked for the die hards that saw the beauty of the design. La Maison changed tack and came up with a surprising variation; more about that in the next article.